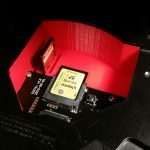 Last week I posted an article on getting light output from Salary Man Champ on Konami System 573, I suggest you read that first. Much to my chagrin the shift-register circuit I used there didn’t work with Hyper Bishi Bashi Champ. 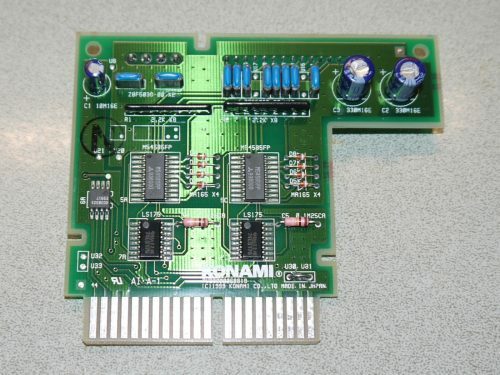 Through pictures I found online it seems that the 2 Player Hyper Bishi Bashi champ cart, while using the same light output pinout and having the same outward appearance and a very similar looking cartridge PCB actually used a very different light output circuit. Rather than a pair of shift-Registers it uses a pair of 74LS175 D-Type Flip Flops. I’ve been playing around with a non-rhythm game version of the Konami System 573 hardware, namely I’m interested in the various “Champ” games, these are collections of manic versus mini-games where you smack buttons and hilarity ensues. The most popular is Hyper Bishi Bashi Champ and Salary Man Champ. If you’re unfamiliar with the game each player has just 3 colored buttons (no joystick) and the buttons also light up corresponding to what’s happening in game. I’m a big fan of metal cages over my Arcade PCBs. They’re the best way to protect the PCB and they help cut down on electrical interference so the game runs at it’s best. 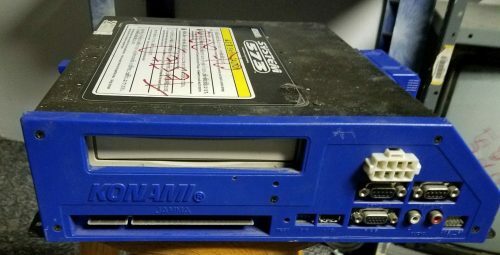 I own an ST-V (“Sega Titan-Video”) PCB (which is the arcade equivalent to a Sega Saturn) and I knew it had an optional Video board used in the “Print Club” machines. While trying to find info on that optional board I discovered that in the Print Club machines also had a cage around the whole ST-V Board setup! I found a complete setup for a reasonable price (less than that of a spare ST-V board alone, so worst case I break even) so I bought it. 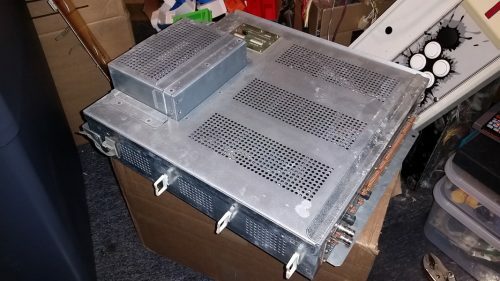 A number of people have expressed interest in the size of this cage and others in seeing what the guts of this thing looks like so here’s a quick photo dump. I’ve done a brief video tour of my Game Room for those that are interested. Published on August 21, 2016 in Arcade, Electronics and Repairs. 0 Comments Tags: naomi, power supply, psu, sun. 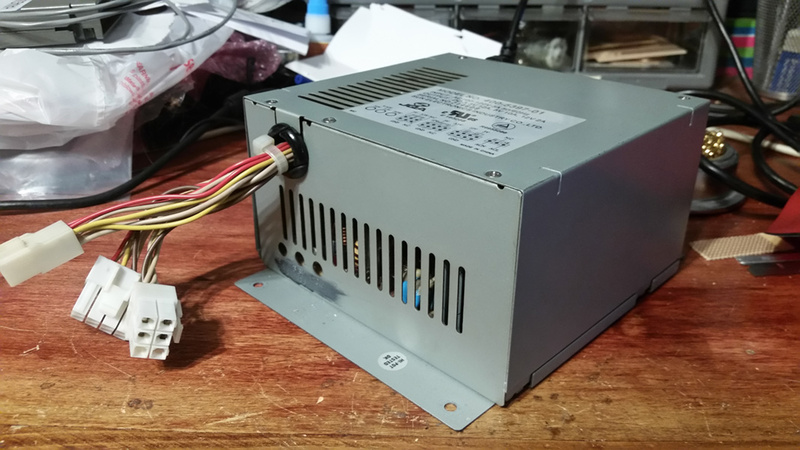 The Sun brand JVS power supply units also known as “NAOMI” PSUs due them being most widely used on that platform have become quite expensive in recent years, even worse is that due to their age many are starting to fail. 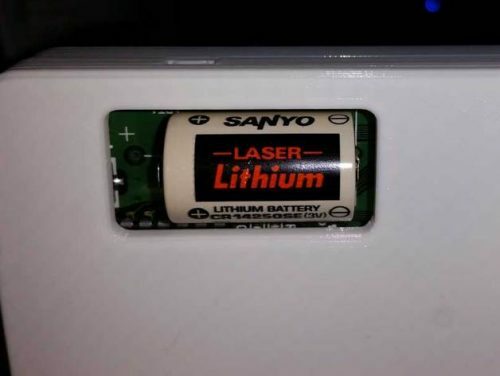 What most people don’t realize is that similar to CRT monitors, power supplies usually fail due to aging capacitors and many can be revived with a simple cap-kit. Why not just buy a different PSU? 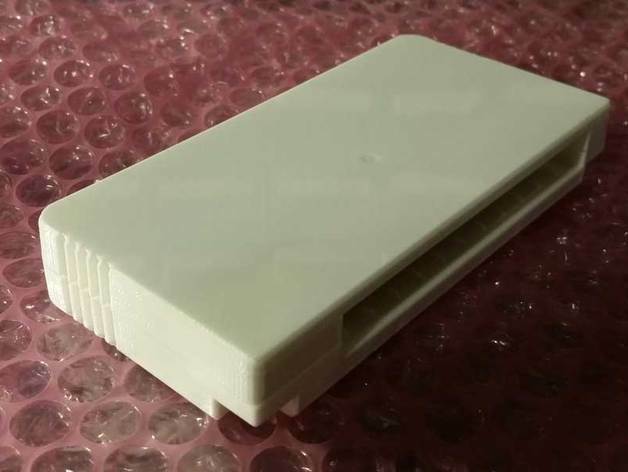 Normal Arcade power supplies only supply 5V and 12V outputs where as the JVS power supply standard requires 3.3V output as well, also there is a specific connector (JST VL) used for JVS power connections where as normal arcade supplies use either screw terminals or Molex connectors. Even if they did support 3.3V output, the output amperage specs for JVS are also higher than what most 15Watt arcade PSUs can provide, some JVS boards have power consumption requirements low enough that this would be ok but others do not. There are some people who make ATX to JVS PSU adapters allowing you to use a standard desktop PC power supply for JVS arcade boards however PC power supplies are not adjustable and depending on the specific board you’re using and how your specific ATX supply is tuned it may be providing voltages too high or too low to function properly with a JVS arcade board. 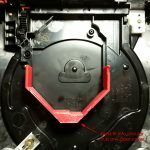 Over time the chemicals in electrolytic capacitors break down and expand causing them to not work as well as they should which can cause instability and noise in the power output, in worst cases the capacitor housing can crack and start leaking which can cause corrosion of metal parts and erosion to the PCB. I’ve seen these Sun PSUs sell for $80-$100 in used condition on eBay, many of these are even in need of a cap kit. The very few shops that sell new JVS PSUs charge upward of $300. Meanwhile a cap kit can be purchased for about $8 and with about an hours work can make a dead or unreliable Sun PSU function like new again. 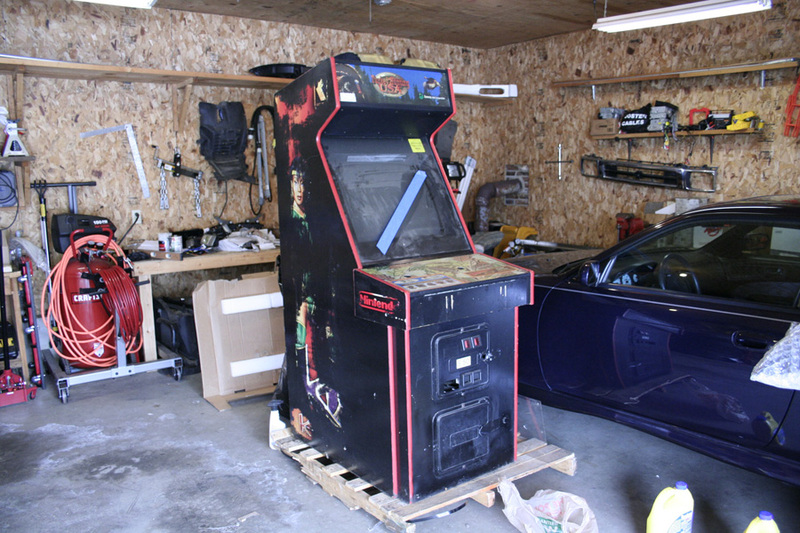 Not to mention spending some time and a little bit of money to repair instead of replace something is much better for your wallet, the environment, improving your skills, and preserving the authenticity of your arcade equipment. It’s win-win from all aspects. This electrolytic cap list is for the Sun 400-5397-01 model number (the 400-5443 may or may not need the same caps, I didn’t have one available to check). The filter cap is generally very expensive compared to the rest of the list and generally only replaced on an as-needed basis. Here is a map I’ve put together of where each of these caps is located on the PCB and the direction each cap should be facing. 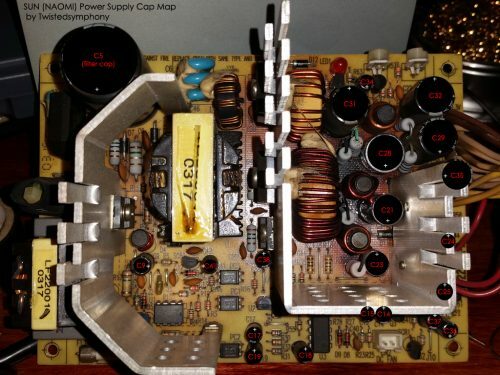 When replacing the caps you should take note of the capacitance, voltage and orientation of the old cap to ensure that it agrees with the above cap list and the below cap map. The PCB itself should also note the capacitor number and orientation of each of these caps for further confirmation. 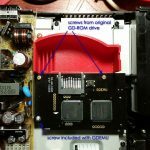 I’ve run into other PCBs where the markings on the board didn’t agree with the direction that the old cap was installed, but in my experience the Sun PSUs have always been marked correctly on the PCB. *The cap map was made from a photo I took of one of the PSUs I performed a cap kit on. take note of the blackened PCB by C28, this cap had already cracked and started leaking on the bottom which also caused the green/black corrosion on the neighboring resistors. Thankfully no permanent damage was done. I should also note that from the outside this PSU was running with zero problems. This was a ticking time bomb and I was lucky enough to notice the bloated and leaking cap before the PSU failed and or more serious damage occurred. These Sun PSUs also have an fan that can die or become very noisy. its the same size and shape as an 80mm (x25mm) desktop PC case fan. This is a 2-pin 12V fan that uses a 2-pin JST PH connector. 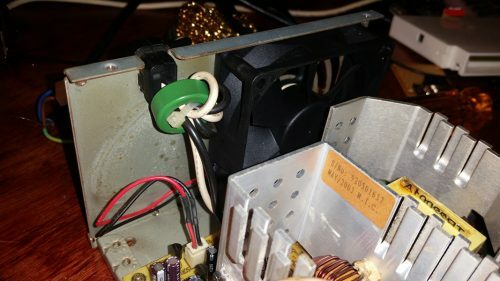 Most PC fans wont use this connector but you can either cut off the connector of the new fan and splice on a pig-tail from the old one, or buy a JST PH connector to crimp onto the leads of your new fan. Either way replacing this fan is another cheap way to keep your power supply running in top shape for a good many years to come. Where to buy these parts? 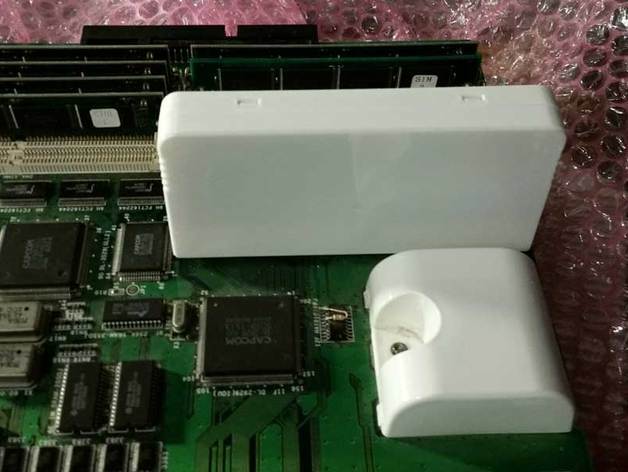 You can piece together your own cap kit using parts from Mouser, Digikey or your preferred online parts vendor, most of these stores will also carry the JST-PH connector for the fan as well. 80mm cooling fans can be found anywhere computer parts are sold. If you’re interested in buying a pre-made cap-kit instead of piecing one together yourself Ian Kellogg sells one and he also sells the filter cap. I don’t know of anyone else making kits for these PSUs at the moment but if you know of any please leave a comment. 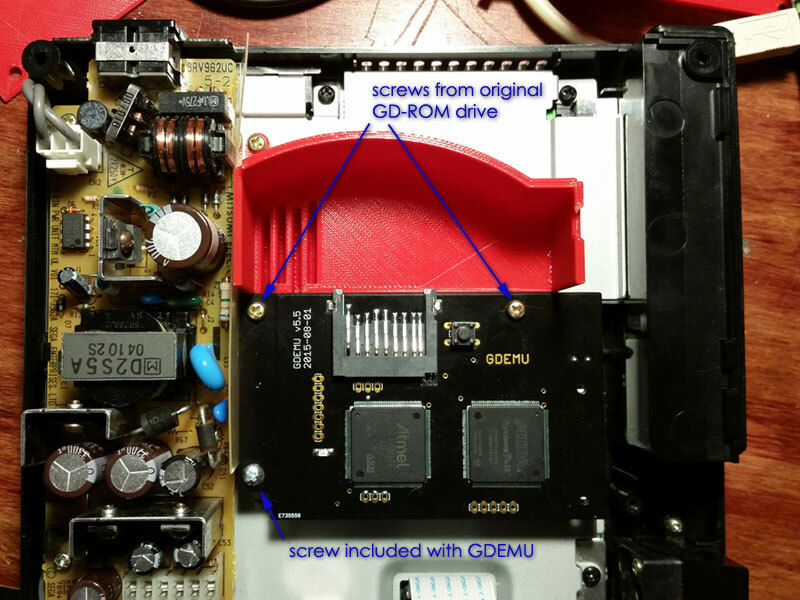 The GD-EMU is an SD card adapter that replace the ever failing GD-ROM drives in Sega Dreamcast consoles. 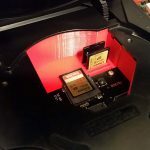 These are great devices but they leave a very large space open inside the console meaning you can easily, accidentally drop your SD card inside the console and be forced to disassemble it to get the card back. 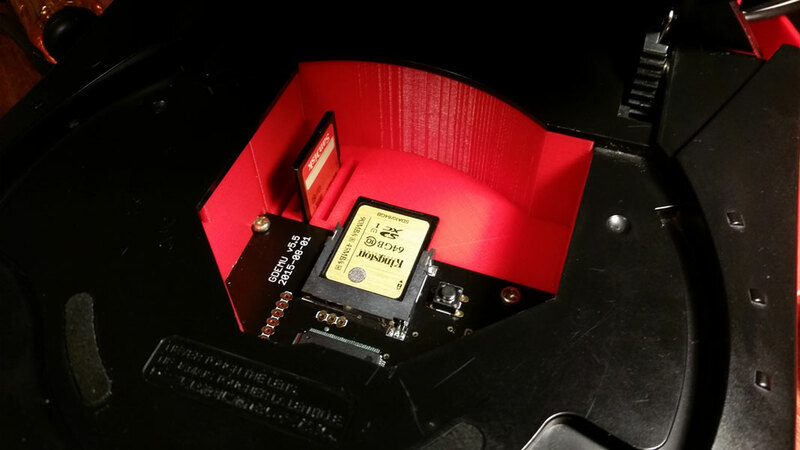 These files are to print a tray or finisher pieces that wall off the insides of the console making it not just more professional looking and visually pleasing but also making it impossible to lose a card inside the console. This also makes it easier to insert and remove cards and there are optional spaces provided for additional card storage; making it more versatile as well. 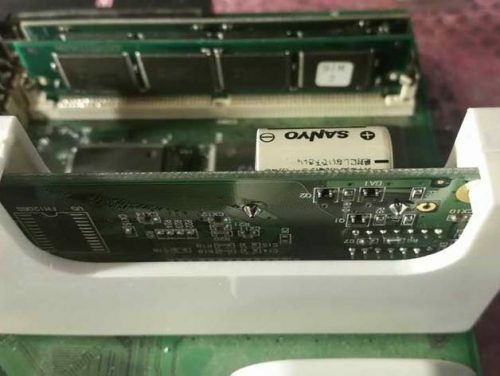 This SD card Tray comes in two pieces. 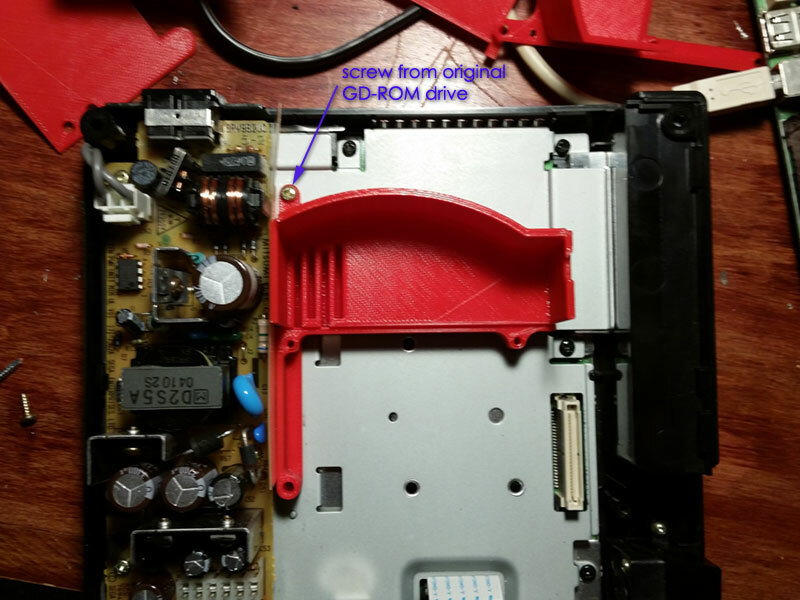 The base bolts to the console in place of the GD-ROM drive and supports the GD-EMU. 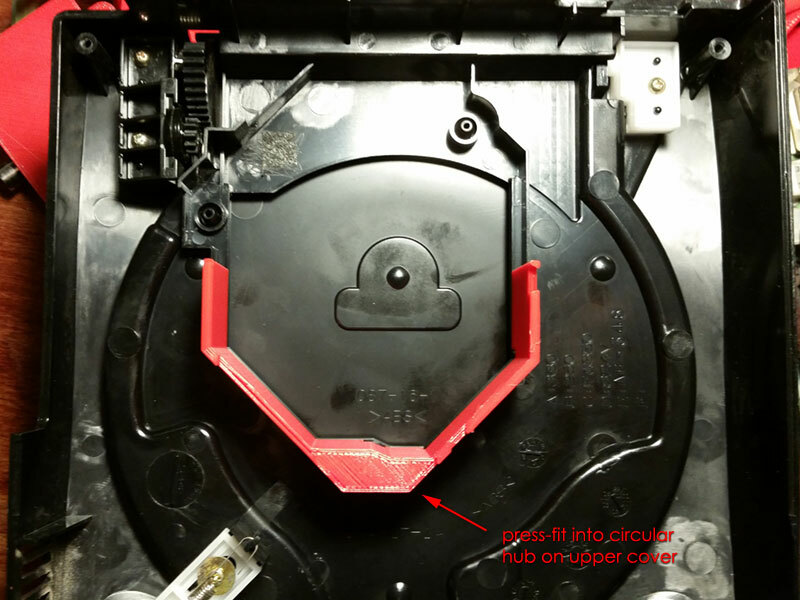 The shield is press-fit into the lid to finish enclosing off the area making it impossible to drop your SD card inside through an open lid. 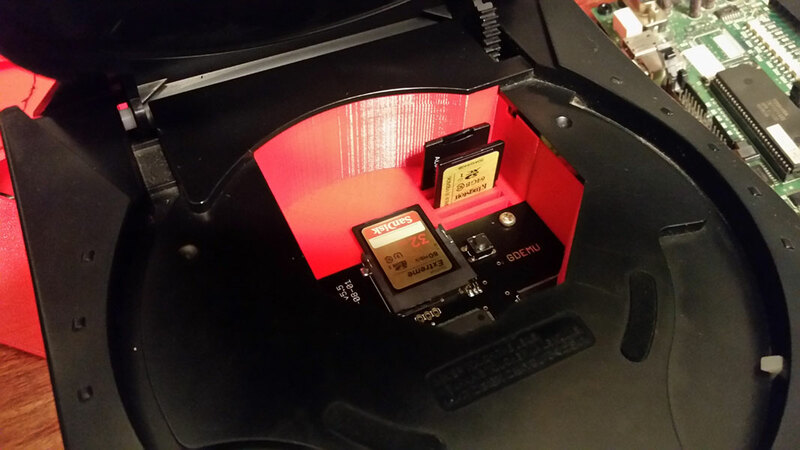 There are three different STL files for the base, one includes a set of 4 slots on the left to allow you to store additional SD cards (the slots are staggered to allow easier gripping), another with 5 SD card slots on the right (these are not staggered).. and the third file with no card slots is simply for people who are not interested in this feature. Fitment has been tested on GDEMU Version 5.5. It should work on GD-EMUs version 5.x but will not fit on Version 4.x or older GDEMUs. UPDATE: Files have been added that support version 5.0 GDEMUs (without any screw holes). The originally posted files should work with version 5.1 and newer GDEMUs. 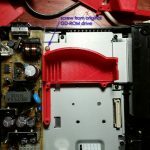 It installs using the original hardware that held the GD-ROM drive into the Dreamcast as well as the screw that is included with the GD-EMU So once you print it you should have all the parts you need to install. The only tool you’ll need is a screw driver. You can download the STL files and on Thingiverse. 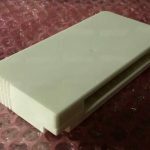 If you don’t have a printer and would like to buy an SD Card Tray for a newer style GDEMU or an SD Card Tray for an older style GDEMU you can purchase them at bit-district.com.